mega produkt, polecam wszelkie problemy żolądkowo-jelitowe mineły i czuje się świetnie!!! The formulation is recommended to individuals prone to infections, taking antibiotics or suffering from deficiencies of some elements. The supplement may help restore the normal intestinal microbiota and is perfect for diarrhoea, constipation and digestive problems. What is more, the product may bring health benefits for the whole body. Because of that, it may be a good idea to use it as a preventive measure, e.g. to improve nutrient absorption in the intestines and their peristalsis. Lactobacillus gasseri is a lactic acid bacillus with probiotic properties. It is naturally found in the reproductive system of healthy women. It has a positive effect on the condition of the intestines and the digestive system. It may reduce the symptoms of asthma and strengthen immunity. The best-known and best-documented property of this strain is the ability to reduce excess body weight and improve metabolic parameters. Of many mechanisms used by L. gasseri in the fight against obesity, the most important are: beneficial effects on the level of lipids and serum glucose concentration, production of conjugated linoleic acid (CLA), reduction of adipocyte size and normalization of leptin levels. The anti-inflammatory activity may also play some role. Bifidobacterium infantis – what is it? Bifidobacterium infantis is a lactic acid bacterium present in the digestive system. It is an anaerobic bacterium, which can convert carbohydrates into lactic acid. Bacterium is beneficial for people struggling with irritable bowel syndrome, as it reduces bloating and gas, the risk of diarrhoea and abdominal pain. B. infantis can reduce inflammations associated with particular diseases, such as psoriasis, colitis ulcerosa or chronic fatigue syndrome. What is interesting, it can quickly strengthen the intestinal barrier. Thanks to that, it contributes to the proper functioning of the immune system. It will be also helpful in case of intestinal dysbiosis, as it can fight harmful bacteria, by producing factors which will cause their death and competing over receptors in the intestinal lining to which it could attach. Lactobacillus fermentum is a Gram-positive lactic acid bacillus. It is commonly found in fermented products; it is also part of the normal intestinal microflora. Some strains of this species (PCC, ME-3, and CECT5716) have been recognized as probiotic bacteria, i.e. those that have beneficial effects on the human body. Of all the probiotic bacteria, L. fermentum shows the greatest antioxidant potential. They are able to increase the level of glutathione and other endogenous antioxidant enzymes. In addition, they prevent the oxidation of the LDL cholesterol fraction and contribute to the improvement of the lipid profile. They also inhibit the growth of pathogenic bacteria and fungi, including the most problematic – drug-resistant staphylococcal strains. Lactobacillus reuteri are gram-positive bacteria belonging to lactobacilli. Initially, they were wrongly classified as Lactobacillus fermentum. They weren’t recognized as a separate species until 1980. They were named after the German microbiologist, Gerhard Reuter, who was the first to isolate and describe them, and conduct a series of studies on their properties. L. reuteri bacteria are found in the intestines of some mammals and birds. Sometimes they may be also found in human milk – they are found in about 15% of breastfeeding mothers. They do not naturally colonize human intestines, therefore they are therapeutically administered from the outside, most often in the form of a dietary supplement. L. reuteri bacteria are the only bacteria that, through glycerol fermentation, produce reuterin – a substance with antibiotic activity. In addition, they increase the number of Treg cells that are responsible for immune processes and immune tolerance. In medicine, they are mainly used in the therapy of gastrointestinal diseases, but they can also have a positive effect on immunity..
Lactobacillus bulgaricus – what is it? Lactobacillus bulgaricus (known before as Lactobacillus delbrueckii) is a Gram-positive bacteria species, able to convert lactose into lactic acid. It is non-motile and does not form spores. It is present in digestive system of mammals and fermented products. It is one of the bacteria used for yoghurt fermentation. It was first identified in 1905 by the Bulgarian doctor Stamen Grigorov. It is classified as a probiotic, so that it has positive influence on the human body system, i.a. 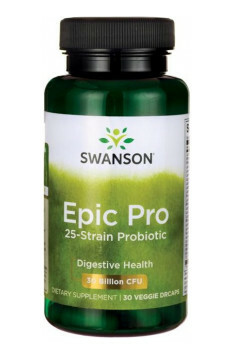 by supporting the fight against pathogenic bacteria and promoting restoration of homeostasis after microbiome disorders. It can be also potentially beneficial for the functioning of the immune system. It is helpful in fight against diarrhoea caused by antibiotics and can improve digestion and absorption of nutrients. There are some indications that it can improve condition of people suffering from bowels inflammations. Lactobacillus brevis – what is it? Lactobacillus brevis is a Gram-positive bacteria species of the Lactobacillus genus. There are 16 different strains of L. Brevis bacteria. The bacterium is used for restoring homeostasis in intestinal microbiota. It can be also helpful in promoting immunity and treatment of vaginal inflammation and urinary system infections. Just like other Lactobacillus bacteria, it can produce lactic acid from carbohydrates in the process of fermentation. Thus it creates slightly acidic environment, which hinders the survival of many pathogens. There are many indications that the use of L. brevis during antibiotic treatment, aiming at the fight against Clostridium difficile, can raise its effectiveness and reduce the risk of bothersome complications. FOS (fructooligosaccharides) refers to the plant (fibre) branched glucose polymers, insensitive to digestion, resulting in the stimulation of activity and development of the intestinal microflora, the proper functioning of the gastrointestinal tract, studies have shown anti-tumor potential. They are used in medicine and for the prophylaxis of digestive tact diseases, effect on the reduction of body fat mass by a sense of fullness (in combination with probiotics form synbiotics) and improve glucose metabolism. They are a component of protein, carbohydrate and protein and carbohydrate and slimming supplements. Dosage: varied from a few hundred mg to several grams per day.